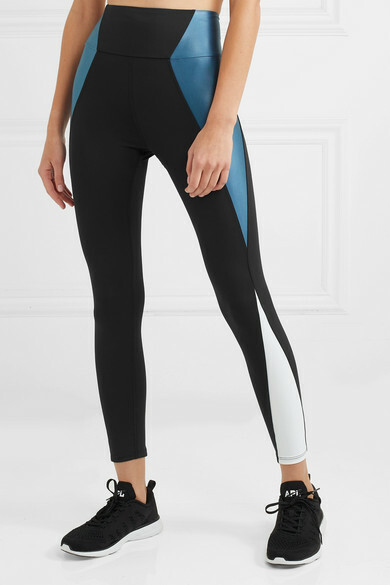 Perfect for classes and workouts when you want complete coverage and support, Heroine Sport's leggings are high-rise and have a 4" band at the top that hugs your core. 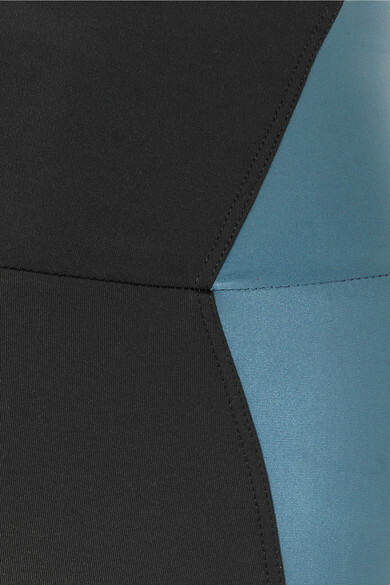 The blue and white panels are strategically placed to look really flattering, no matter what your practice. Wear them with a tank as you head out for a post-workout juice.